Luminous Mini-Lanterns SILVER - EconoBride - Budget friendly wedding favors. Let memories of your perfect day light the way. 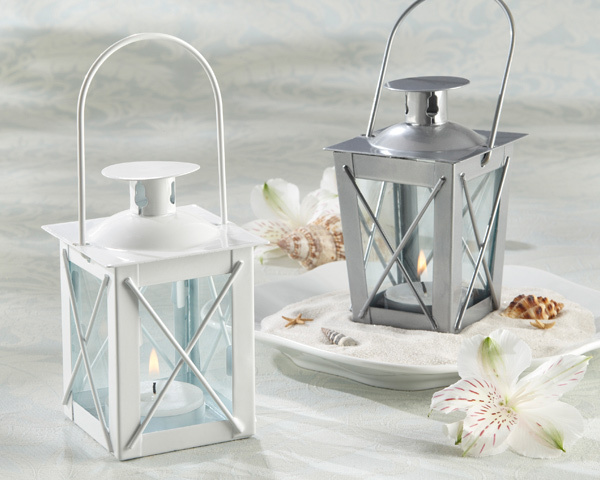 These perfectly charming and practical mini-lanterns are the ideal favor. They add mystery and height to your table decor, while impressing your guests with their substance and thoughtfulness. Each aluminum lantern stands 5" high with a removable lid that makes lighting the replaceable tea light easy. Choose from glossy white or brushed silver.